Trimming your dog’s nails can be a daunting task. Trust me, as a pet parent to a Pharaoh Hound, I know! Her nails grow insanely fast and get crazy sharp if we don’t keep them short. 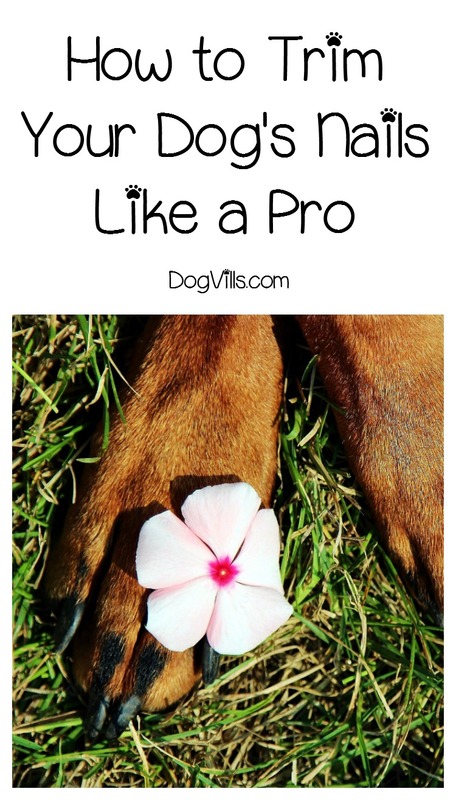 She loves to rake those talons down everything from the screen door to the furniture to, worst of all, my back, so I’m really excited to try this special guest writer’s amazing tips on how to trim your dog’s nails like a pro! Owning a dog is a great joy. 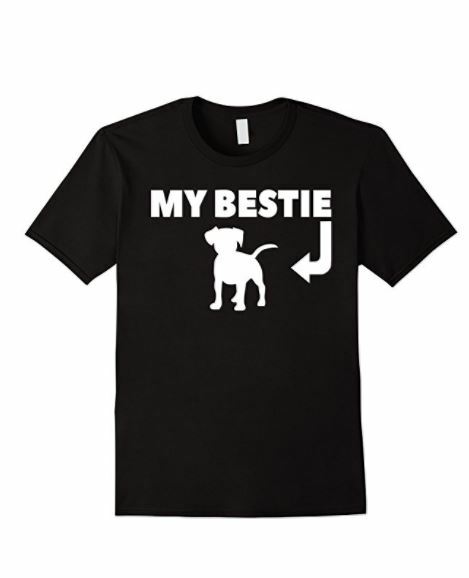 After all, dogs are a man’s best friend. However, when you own a dog there are some things that you are going to have to do that are not so enjoyable. One of those things is trimming your dog’s nails. 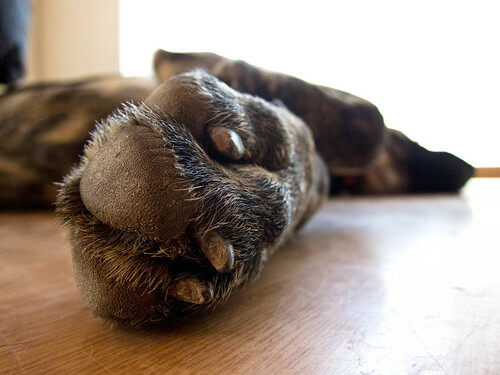 Unless you have an extremely active outdoor dog, you are going to need to trim his nails on a regular basis. It is recommended for dogs who are experiencing pain with their brittle nails. Now, perhaps the best way to keep your dog’s nails trimmed is to take them to a professional. This is a great way to keep your dog clean and well groomed. However, many dogs have nails that grow super fast and taking them to a professional every time can become quite expensive. So if you own a dog, you are likely going to have to bite the bullet and take on this task yourself. Here are a few tips for trimming your dog’s nails. So, you are ready to take on the task of trimming your dog’s nails yourself. You head to the store and find that there is a whole wall of dog nail clippers from which to choose. Now what? How can you possibly find the right nail trimmers for your dog’s nails. The first thing you should do is find the trimmers that are the right size for your dog. Quality trimmers will be sharp and have a concave at the edge. This helps to avoid crushing the nail. If the trimmers are not sharp enough they will split the nail, which can cause issues. Another option is to use a Dremel type tool in order to burr the nails down. This can be a safer option. However, this only works if the nails are not very long, but are sharp. Okay, now that you have found the right trimmers it is time to begin the process of trimming your dog’s nails. First of all, do not try to be a hero and think that you have to trim all 4 paws at once. Gather some treats and start with a single paw. Make sure that you reward your dog with a treat after you complete trimming the nails on a single paw. One technique that you can use is to hold onto your dog’s paw and then hold the handle of the trimmers flat up against the pad and then cut straight across the nail. This will cut the nail short enough so that it sits flat on the ground. This will also keep you from cutting the nails too short. What if There is Blood? So, when you are cutting your dog’s nails it is important to know that accidents happen. Sometimes your dog will simply move his paw and you end up cutting it. No matter what happens, if there is blood there are a couple of things that you can do. You can purchase some styptic powder and put it on the area in order to stop the bleeding. Another option is to use some cornstarch as this will have the same effect. If you do not have either of these you can use a clean bar of soap under the nail that is damaged. The soap will help stop the bleeding as it will plug the vessel. While trimming your nails is not ever going to be your favorite task, it is one of those things that you are going to have to deal with as a dog owner. Just take your time and be patient with your dog and in no time at all this chore will be a piece of cake. Alice Sparkle is a dog lover for a long time. She is a practicing veterinary nurse for 12 years. She spends her spare time playing and taking care of Mercy, her lovable Labrador retriever. She uses blogging as a way of connecting with other dog owners. Visit Alice Sparkle’s blog at LoveYourWoof.com to know more about dog health, training and advice.